In the sea of traffic, while getting about for your commitments and everyday pleasure, choose agility and practicality, technology and safety, comfort and style – get onto the saddle of an Atlantic 200. A valid alternative to immobility on four wheels, designed and produced to resolve your every work or leisure requirement. The Atlantic 200 is the answer to your need for value in movement. 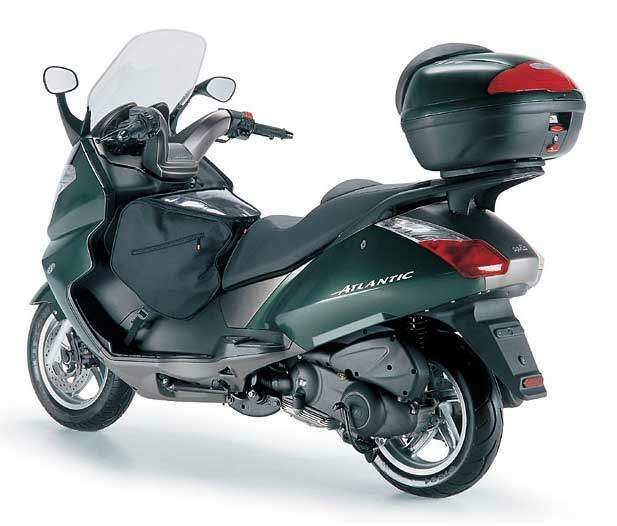 The Atlantic 200 is easy to ride and 100% reliable. Engine performance is generous, fluid and, in harmony with Euro 2 pollution abatement standards, combines maximum environmental friendliness with maximum savings in consumption. The high rigidity frame, large 13" wheels, suspension and integral braking system with front and rear disk brakes guarantee safety at levels typical of higher classes. The Atlantic 200 frees you from worry and surrounds you with attention. Aprilia's experience can be recognised and, above all, felt in the Atlantic 200's distinctive and refined ergonomics. The saddle is lower and has a comfortable back support enabling you to put your feet to the ground immediately when stopping suddenly. 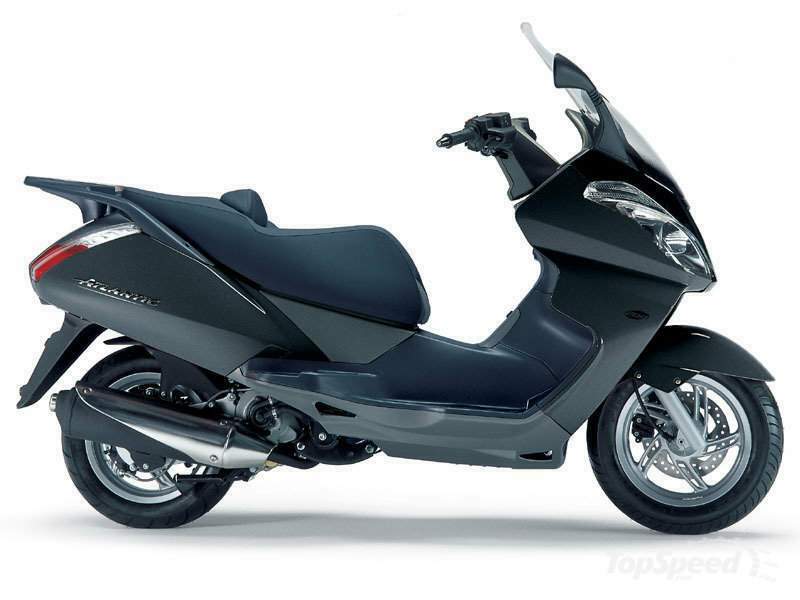 The riding position is comfortable, with the legs extended and protected by the front fairing. Together with ergonomics and comfort, the Atlantic 200 also offers the protection of a large aerodynamic standard windshield to guarantee maximum comfort all year round. There is a capacious compartment under the large ergonomic saddle, perfect for all types of transport requirement. With its rich standard equipment and finishes, the Atlantic 200 expresses a higher class in its design as well – a unique blend of function, aerodynamics and elegance with that added and unmistakable touch of sportiness typical of Aprilia. The powerful front light assembly with its two separate headlights and double rear light are perfect to take on aggressive rush hour traffic. The Atlantic 200 is the most intelligent and advantageous way of getting about town. The Atlantic 200 is ready to satisfy your every transport need with its exceptional capacity and carrying versatility. The large under-saddle compartment is a genuine luggage compartment able to contain a briefcase and a bag of shopping, or one full-face and one jet helmet, and also fitted with a built-in 12 V socket to recharge a mobile phone or computer battery. The standard luggage rack can take a large 45 litre top box for two full-face helmets. 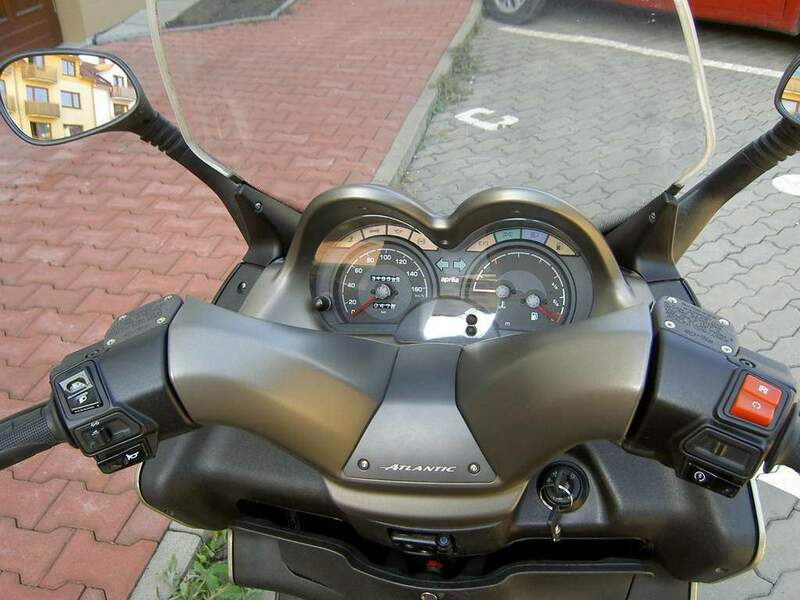 The Atlantic 200 also offers numerous other functional and prestigious optionals such as the short luggage rack with passenger backrest, central Touring bag, high windshield with hand guards, leg cover, and Body Guard mechanical anti-theft device, and the exclusive Aprilia Radio Mob Control with three functions for radio, interphone and mobile phone answering system. Standing out for its refined design, the front light assembly is also an important safety feature. The large standard windshield, perfectly coordinated with the lines of the fairing, enhances comfort and aerodynamic protection.